A facial oil with a base of tamanu oil always gets me, but when it’s combined with hints of rose, geranium and fcf-free bergamot, my nose really gets to sniffing. The earthy-floral combination found in Mahalo’s Vitality Elixir is different from many other facial oils I’ve tried, not only in its addictive, unisex scent, but also in its thoughtful formulation. 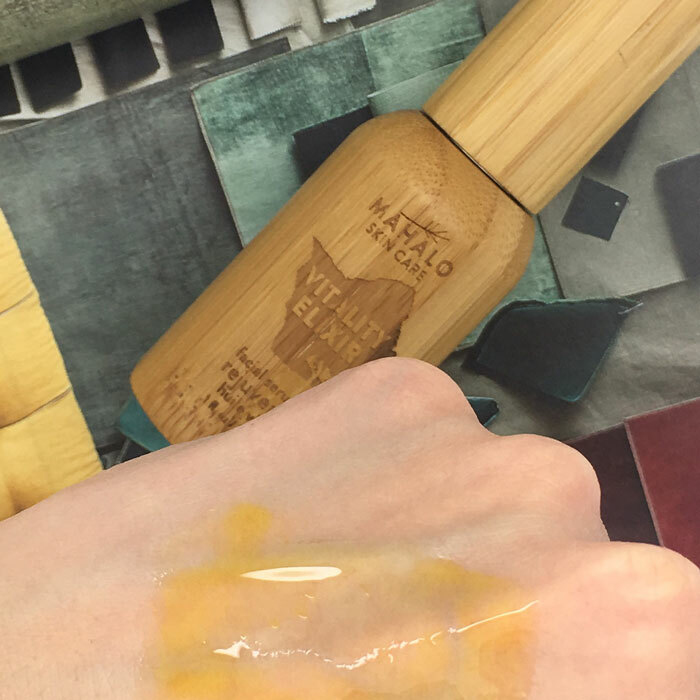 Made with 15 natural actives, Mahalo’s Vitality Elixir offers a fast-drying, deeply moisturizing face oil made with a melding of ingredients with both high linoleic and high oleic acids. If you’re acne-prone like me, you probably shy away from oils high in oleic acids. But with skin that’s prone to dry patches, you need a little moisture to maintain balance. What a fun problem to have, right? 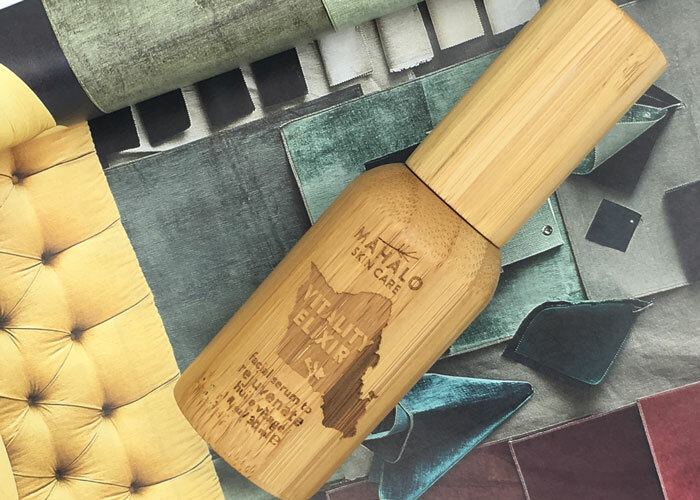 Mahalo’s Vitality Elixir addresses the need for a medium viscosity oil by combining linoleic acid-rich black cumin oil in a base of balanced tamanu (known for its acne-fighting abilities) with shots of kukui and sea buckthorn to get the texture just right. And wow is that texture just right. This facial oil is a medium viscosity, making a one-pump application enough for my dampened-by-toner skin. It lightly coats the skin in a sheer blanket of moisture and leaves it feeling plumped and glowing. While it absorbs quickly, your skin is still left with what feels like a featherlight, protective layer. I find this extremely necessary for my skin during travel and during transition weather. Think of Mahalo’s Vitality Elixir as your in-between seasons facial oil that acts like a balm — without any of the heaviness. You’ll notice that in addition to an abundance of powerful plant oils and extracts, Mahalo’s Vitality Elixir also boasts coenzyme Q10, added for its additional protective antioxidant effects. This, plus the fact that Mahalo sources FCF-free bergamot for its facial oil, tells me that the brand is serious when it comes to healing and protecting skin. That’s led to my confident use of Vitality Elixir both day (with SPF, always) and night. 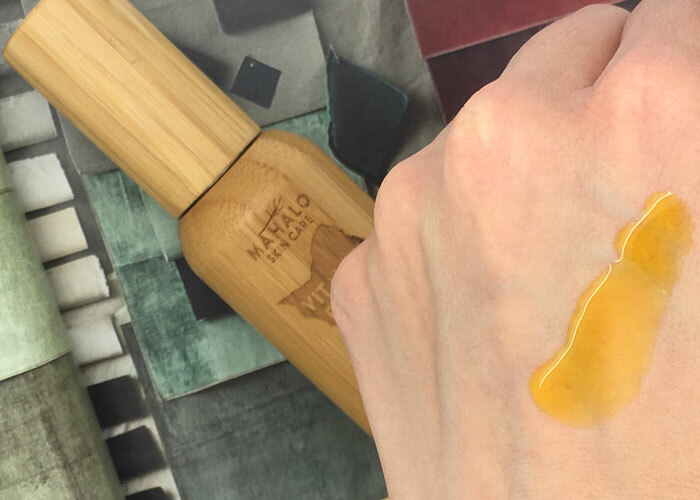 At $110 for a 1-ounce bamboo pump bottle, this facial oil is an investment. But the thoughtful ingredients, smart packaging and universal texture make it a product that frees up (and beautifies!) your bathroom vanity. With normal-to-oily skin, you won’t need a balm after using Vitality Elixir. And with 1-2 pumps per application, it will last at least 6 months — enough to get you through to the next season. Have you tried anything from Mahalo? What do you look for in transition skincare products or travel skincare products? What “extra” ingredients do you like to see in your products? Tell me in the comments!